Season 14 has arrived! This season is filled with new content, returning characters, and an amazing reveal almost a year in the making. This past summer General Martok was found alive, broken out of prison in grand fashion, and reunited with the Klingons. Just last month, captains in Star Trek Online were able to team up with Captain Geordi La Forge on a mission near the Nexus - last seen in Star Trek Generations. With Season 14, Captain La Forge is back in the captain’s chair of the U.S.S. Challenger, and he’s been working with the fledgling Lukari/Kentari alliance to build a habitable colony world that will reunify their people. There has been a mystery swirling around the motivations of the genocidal Tzenkethi, and the first major puzzle piece will fall into place with the featured episode “Melting Pot” that releases today. The Tzenkethi are the most interested in expanding the destructive power of their protomatter technology, and will actually assault the colony itself in order to obtain more of it. 10 captains can work together to clear the beaches of the colony of a massive Tzenkethi invasion, and coordinate with Geordi to get them off the planet altogether. All of this content is built around the amazing new Lukari/Kentari Colony, and fleets will be able to build their own full 5 tier Fleet Holdings on this colony world. This is by far the largest holding fleets will have access to, and it’s packed with amazing visuals, fantastic new rewards that include a unique T6 ship that can be provisioned once the colony is completed, and brand new gameplay options. Fleets will be able to call on up to 20 fleet members to participate in a holographic invasion of the colony world, where everyone succeeds and fails together, and the rewards increased based on the group’s willingness to either take a reward payout or press on for more! To round out Season 14, we’re proud to announce the Miracle Worker specialization! This new primary specialization will allow captains to live out their Scotty, Geordi, or O’Brien dreams of being the behind-the-scenes miracle worker that makes their captains look good. By progressing in this specialization, you will unlock a variety of abilities that give you far more adaptability in combat. That’s good, both for yourself and your group. This specialization will also release with a full suite of ground and space bridge officer powers that will give captains the ability to make tweaks to their favorite builds and see the full depth and potential of being a Miracle Worker. Season 14 has been an amazing journey for the entire STO development team, and we’ve had an amazing time playtesting it, both internally and with the community on our test shard. 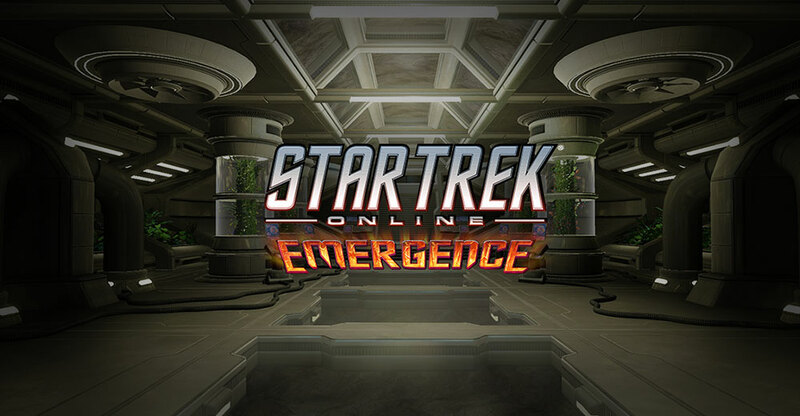 We have Geordi back on an adventure, major reveals in our Tzenkethi Crusade arc, a wide variety of new queued and event based content, the largest fleet holding we’ve ever built, and a brand new primary specialization to give our captains new opportunities to progress. All of this combines into an amazing release that is live now!